Speaking at a joint press conference with the president of Brazil, Trump said “we have to do something.” He also argued, without citing evidence, there was “discrimination” against Republicans on social media platforms. Trump’s social media director Dan Scavino posted on his Facebook page this week that he had been temporarily blocked from making comments. Trump tweeted that he would be looking into it. Trump says he supports Brazil’s effort’s to join the Organisation for Economic Co-operation and Development and is “very strongly” looking at U.S. support for Brazil’s effort to gain certain NATO privileges. President Donald Trump is saying that “all options are open” when dealing with the crisis in Venezuela. 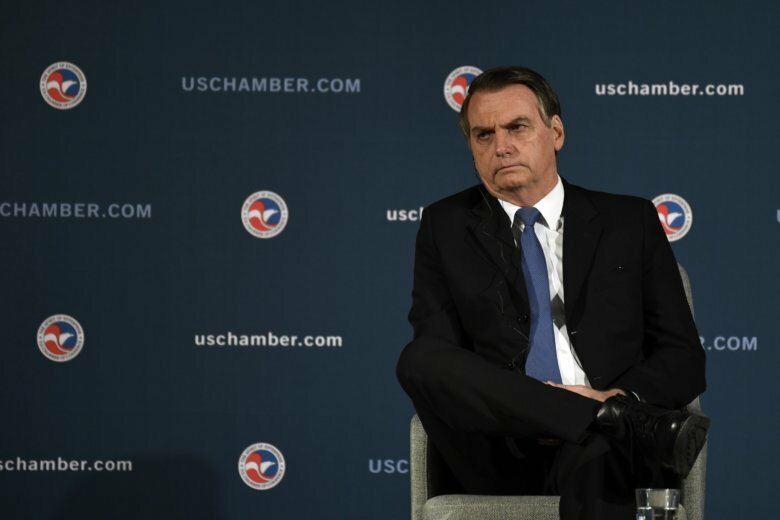 Trump, standing with the president of Brazil in a White House news conference Tuesday, suggested that the United States could impose “a lot tougher” sanctions on the Nicolás Maduro regime if needed. The president noted a recent Venezuelan power outage and said “something terrible is going on down there” and that “we need to put an end” to the current dire situation. Both Brazil and the United States have voiced support for Venezuelan opposition leader Juan Guaido, who has been recognized as Venezuela’s legitimate leader by most Western countries. President Donald Trump says he’s “very strongly” looking at U.S. support for Brazil’s effort to gain certain NATO privileges. Trump praised Brazil’s President Jair Bolsonaro as the two sit down in the Oval Office, saying Bolsonaro has done “a very outstanding job.” He also says Bolsonaro “ran one of the incredible campaigns” and is “honored” it was compared to his. Brazil has been seeking the status of “major non-NATO ally,” which is a step short of full NATO membership. That would allow certain financial advantages not available to non-NATO members. Trump says he’s also supporting Brazil’s effort’s to join the Organisation for Economic Co-operation and Development. Brazil’s new president, who has been dubbed the “Trump of the Tropics,” has arrived at the White House for meetings with President Donald Trump. The Brazilian leader who has been dubbed the “Trump of the Tropics” is ready for his first White House visit. President Donald Trump will meet Tuesday with Brazil’s new president, the hard-right Jair Bolsonaro. The two leaders are expected to discuss a range of issues, including ways to increase U.S. private-sector investment in Brazil and resolve the political crisis in Venezuela. Both leaders are fierce critics of Venezuela’s socialist President Nicolas Maduro.